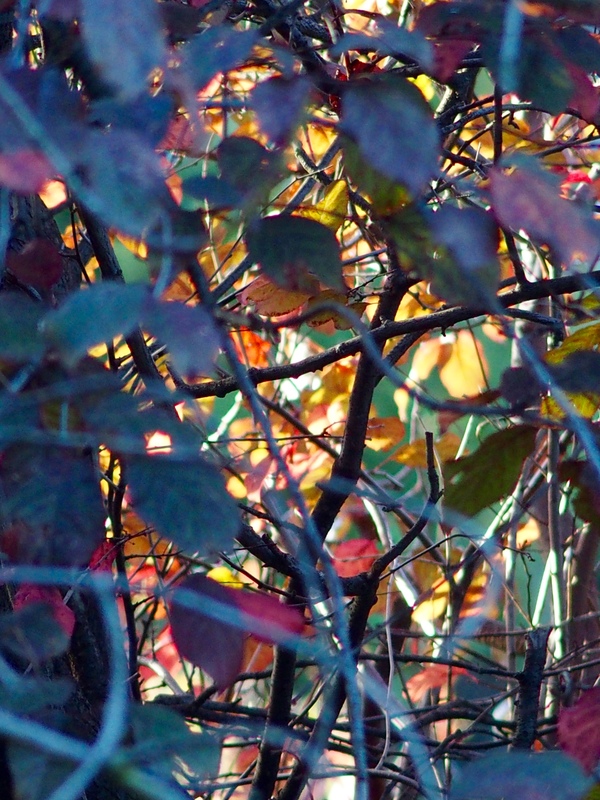 The late afternoon sun shining through the trees in my garden is like looking at stained glass windows. 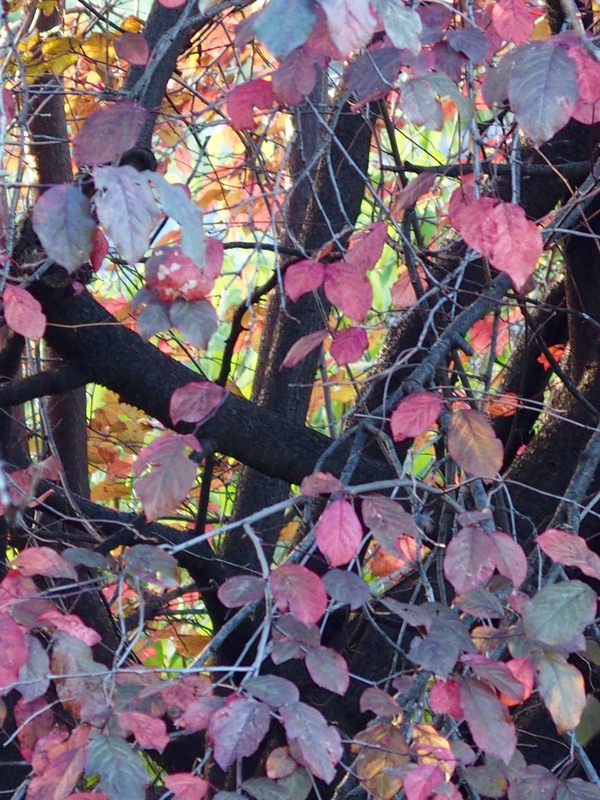 Is there much autumn colour in your neighbourhood? 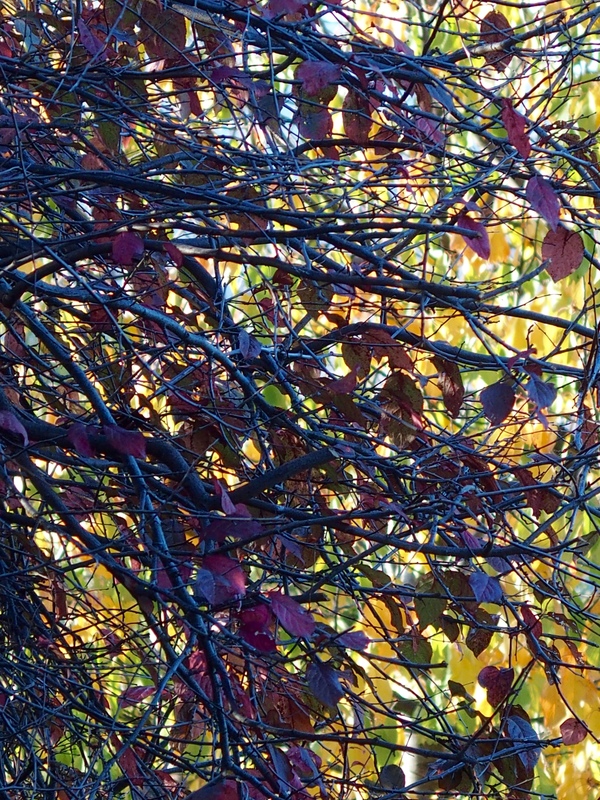 Not much, there aren’t many deciduous trees in Brisbane so we don’t get many autumn leaves. This means that we also don’t get trees with bare branches in winter, which have their own kind of stark beauty. I love travelling to cities further south in winter so I can get my autumn/winter tree fix! Wonderful analogy – it does look like stained glass! Autumn light has a special quality which makes leaves glow.